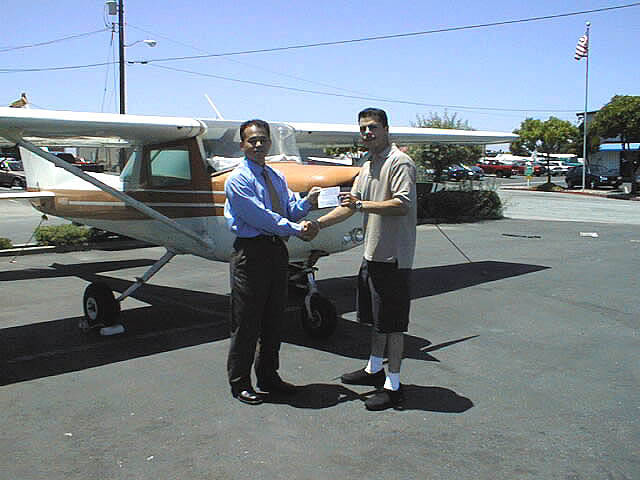 Mayank obtained his FAA Commercial Pilot Certificate - Single Engine Land two years ago. He is currently pursuing an Airline Transport Pilot in his home country. He came back to the US with the intention of accomplishing a flight review and building flight hours to keep his skills up to date. While here, he noticed the Seneca 4399E parked on the ramp. His country approves flight experience in the Seneca for certification conversion. 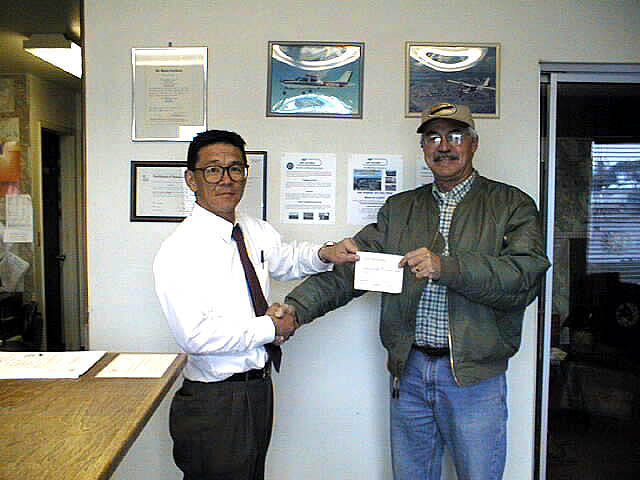 His stay in the US was quickly coming to an end and he stopped by our new office to ask, “Can I obtain a Multi Engine Land rating in one week?” My answer, as usual was, “You may, you may not." No rating is guaranteed. Mayank received intensive training, worked and studied hard, and was successful in obtaining the MEL in one week. Good Job Mayank! We are looking forward to hearing more good news from you. 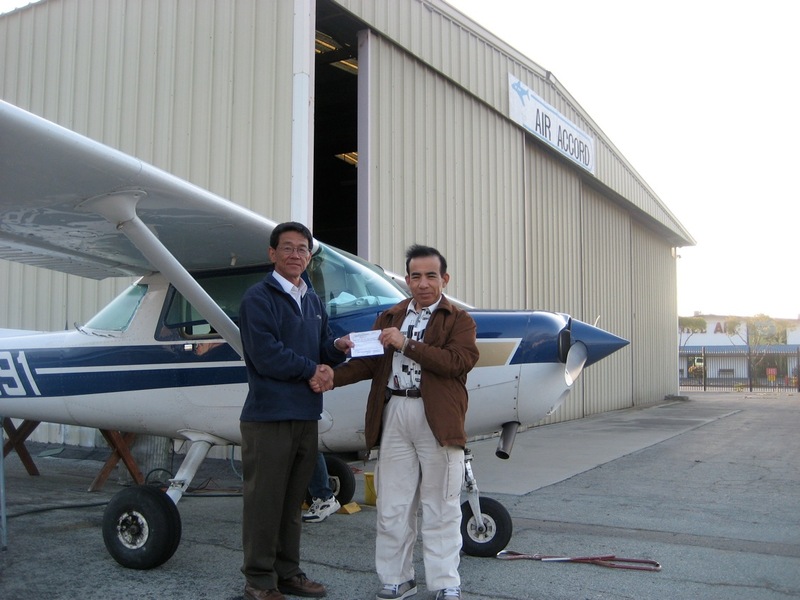 Certified Flight Instructor Certificate: ?? Yukiko, a registered nurse from Japan, was born into a family of medical professionals. Residing in the U.S. to further her studies in nursing, she is an expert in terminal patient care and a top-notch healer. She was not exactly an expert on mechanical matters, howevershe had never even added oil to a car until she came to America. 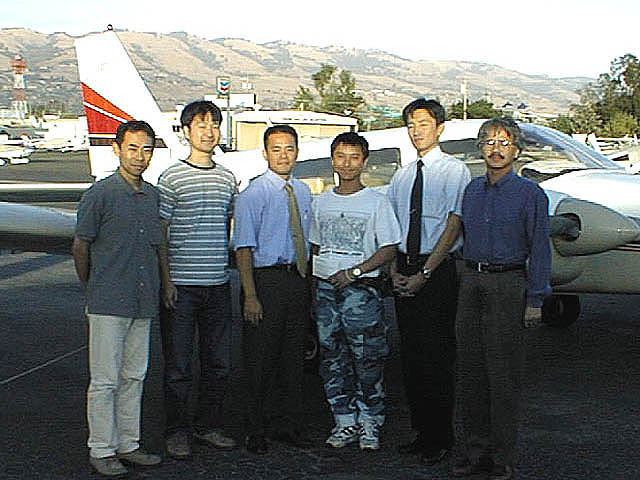 Air-cooling, 4-cylinder, carburetor, direct-drive, pitot-static and gyrpscopic instruments, etc... for Yukiko, all of this represented a challenging, foreign realm at first, but she eventually transformed into someone who can discuss aircraft performance with consideration given to meteorlogical conditions. Her procedural and radio communications steps were error-free, and she contributed to raising the average score of Air Acccord’s stage exams. In retrospect, given Yukiko’s compassion and determination garnered from her nursing career, flight training was perhaps not much of a transformation. Yukio is an expatriate from Japan, working in the San Francisco office of a company renowned for proliferating traditional Japanese culinary culture around the world. After eight years of harboring that euphoria, and now with his wife’s approval and daughter’s support, he embarked on his training. Once he held the yoke in his own hands and the runway drew nearer, however, that euphoria was increasingly replaced with anxiety, and found himself thinking, “Uh oh... I shouldn’t have gotten into this... but I don’t want to be a ‘quitter’ dad!” Such was a confession he made when he earned his license. Later, when he completed his transition training from the 152 to the Sundowner, he reunited with that original euphoria from Mr. Shimada’s flight! Yoshihisa Kojima Yoshihisa is a computer scientist currently working towards his Ph. D. degree at a leading Japanese university. 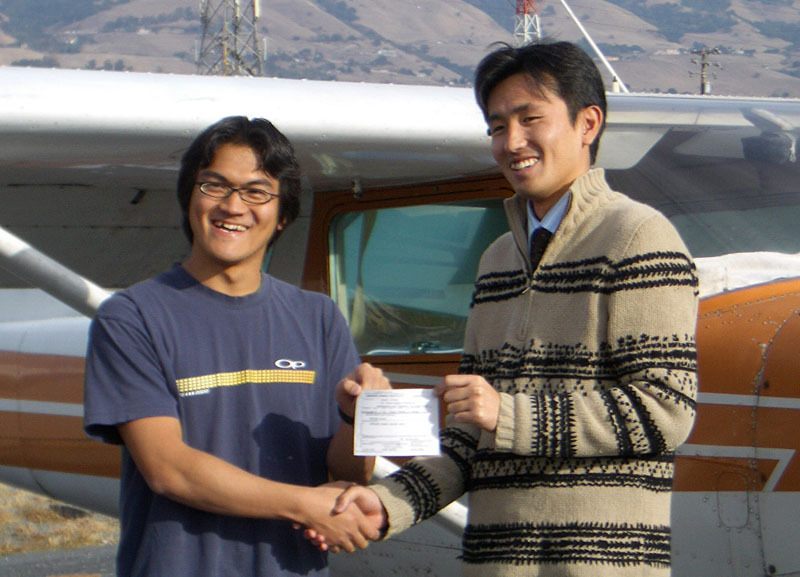 While he was working in San Jose to gain practical experience, a senior member of his university’s glider club recommended Air Accord, and decided to challenge himself to become a private pilot with us. Whether his fluent English was an existing ability or a skill acquired at work, even the mighty among our fellow pilots had their hats off for his strong drive and initiative. Although his area of research was nothing more than strange, cryptic symbols to us, he demystified it with rich expressiveness, and further showed us that his “a good teacher is a good learner” trait applies to his flying as well. P.S. : Just one day after his graduation, he completed a 3-hour P.I.C. flight, and subsequently transitioned to the Sundowner with only two training flights. By the time he returned to Japan in September, he had accumulated 35 hours of P.I.C. time. Who did he take with him, and where did he go? Today, Fred is actively involved in philanthropy. Utilizing his own airplane, he volunteers to fly for the West Coast Wing of Angel Flight, a charity that provides medical air transportation to needy children. 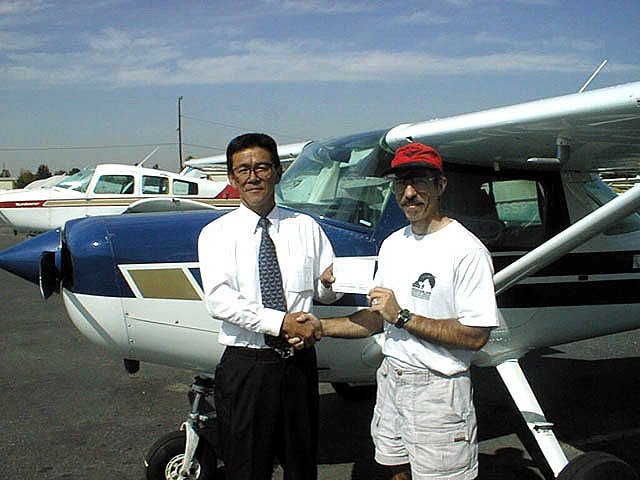 Although he is a veteran pilot with 2,700 hours of total flight time (1,500 hours and 20 years of which is on his beloved Cherokee 6), one day in January, 2005, he found himself grounded at Fresnoa fuel stop on the way back from Las Vegasdue to unexpected fog. 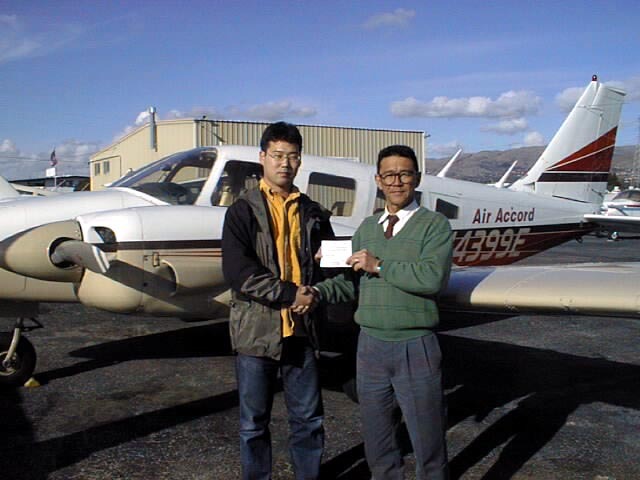 That experience was his wake-up call for an Instrument Rating, and Fred has now become the most senior student ever at Air Accord to earn that revered rating. We hopes he makes the most of his newly-acquired, extended range of flying capabilities. Straight out of high school, Kaname spent seven years in the Japanese Self-Defense Force as a radio communications officer. Towards the end of his SDF career, he was flown to the Middle East on one of the official government passenger jets (a custom Boeing 747-400 best known for its use by the Prime Minister) on a two-month logistical support mission. Stimulated by that experience abroad, he decided to take off on his journey towards becoming a professional pilot, a dream he had held since childhood. 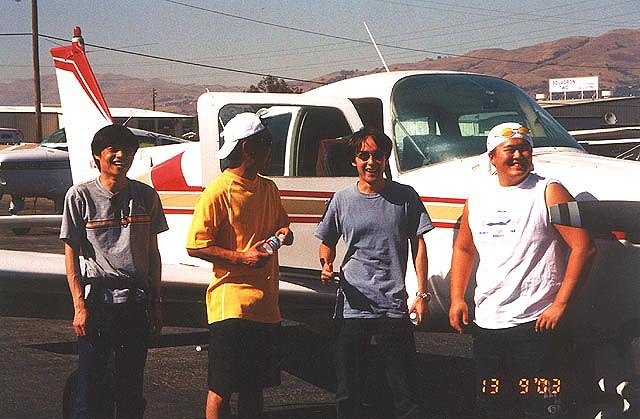 Kaname first approached Kumamoto Koku (Aviation) near his home town, where he was referred to Air Accord for obtaining the Private Pilot Certificate. Being used to living in a group environment where harmonious conduct was of prime importance, he was initially uneasy with the high level of privacy he was given at his home-stay host. During the pre-solo stage, he was hard-pressed to expressin his own words and in Englishmaterial that had been acquired in a short period of time. He felt he had come to the U.S. prematurely. Retreating at that stage, however, would be an act of shame in hid mind, and kept pushing himself. His Student Pilot Certificate was rejected during his first medical examination due to inadequate English skills. Badly-timed transmissions would turn the air traffic controller’s tone terse. By the time he obtained his license and invited senior schoolmates and those who helped him out during his stay as his passengers, though, those bitter moments seemed like they never happened. Kaname, your transformation over the six months of very hard work would top anyone’s. 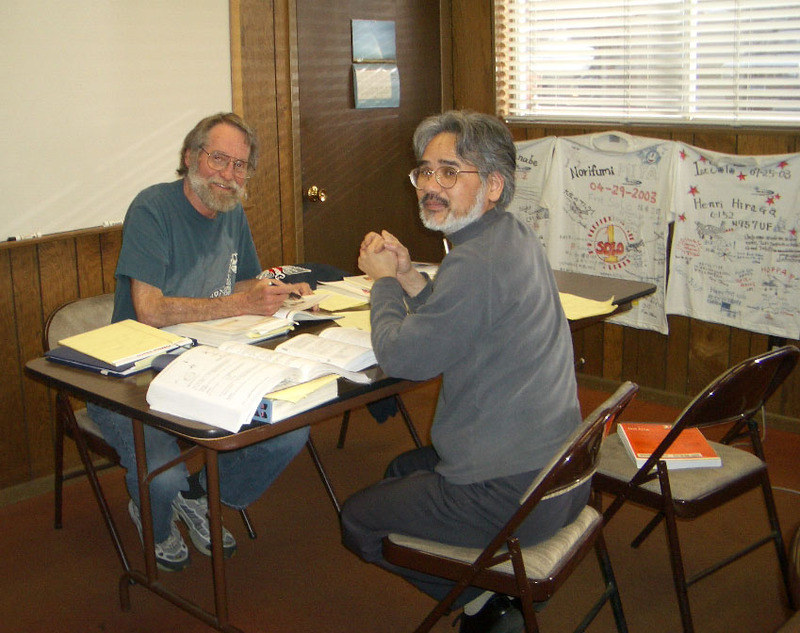 Your training in Japan that is about to begin, the training after being hired, the training that continues after flying as crewit’s all training after training, but use your ability to act harmoniously, while adapting to changes as well. We are looking forward to your return. Back in his days in the special task forces, York was trained not only in firearms and defensive tactics, but even on how to auto-hover a helicopter in emergencies though he wasn't even a pilot. Drawing on such a background, he is now a global risk management and security specialist protecting executives at an American computer company that deals with classified government information. His primary job is to protect executives who travel globallyoften on private aircraftfrom threats and terror attacks. When on active global duty, his schedule is intense and round-the-clock; when off, he could be working locally for a week to 10 days at a time. York initially approached us with the desire to learn how to fly helicopters (beyond just hovering, of course!) on that spare time, but soon found himself attracted to the world of fixed-wing aircraft. Though somewhat smaller than the business jets he痴 used to, he liked the intrepid feel of the Sundowner and picked it as his primary trainer. “The agility of the controls and the rapid response required to adapt to changes are more enjoyable than anything,” reflects York. The 6th sense of a specialistthe adaptability that stems from his military trainingwas glimmering. On one such flight bound for Napa carrying his friend as a passenger, clouds signaling the arrival of winter forced a regrettable retreat despite the destination being within reach. That vexing experience triggered his desire for an Instrument Rating. He began his training in January 2003, staying focused even as the supposedly free weekends were interrupted by business trips to Japan. 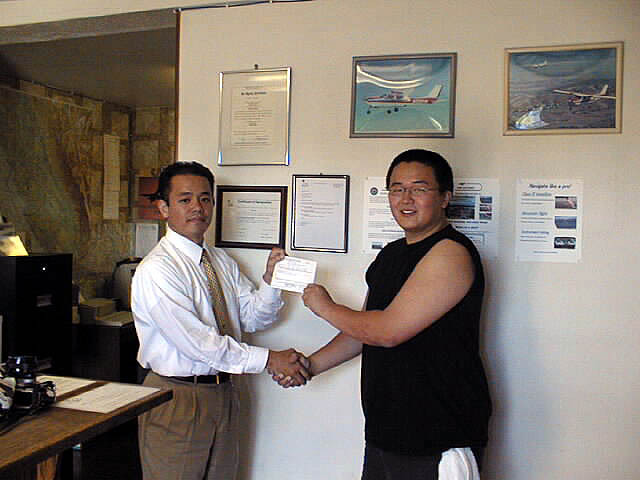 His efforts finally paid off on June 5, 2005, the day he became the second student in Air Accord’s history to obtain an Instrument Rating while working full-time as a local expatriate from Japan. 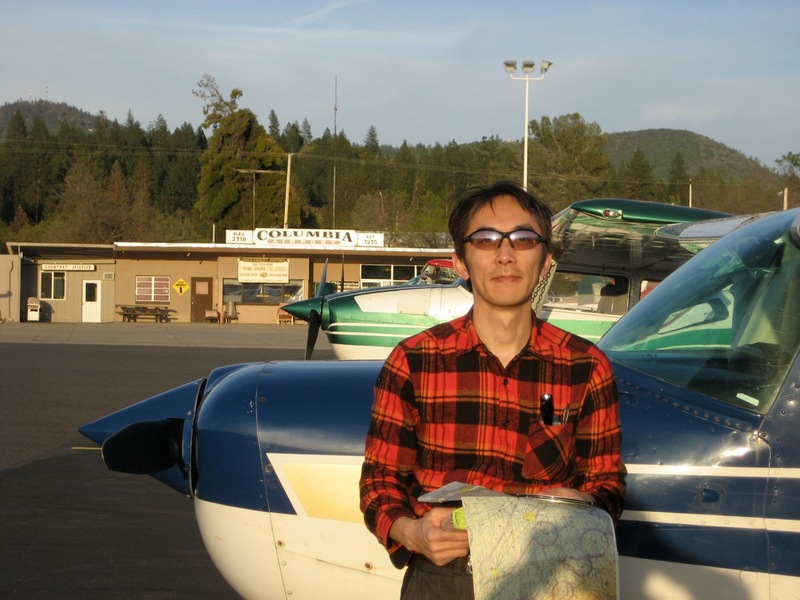 Takashi’s life as a pilot dates back to his college years in Japan when he started flying as a member of his university’s glider club. He went on to becoming a glider instructor while still a student, often returning to teach at the club even after graduating. 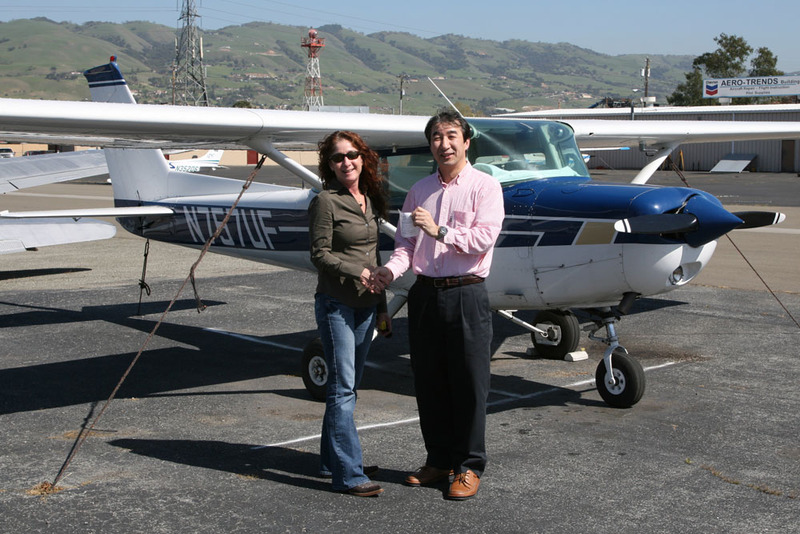 Just when he decided to formally enroll in Air Accord’s Instrument Rating course, his company assigned him to a position back in Japan and had to leave the United States. Undeterred in his resolve to one day become an Instrument-rated pilot, however, he would visit Air Accord a few times a year during vacations to continue his IFR training. 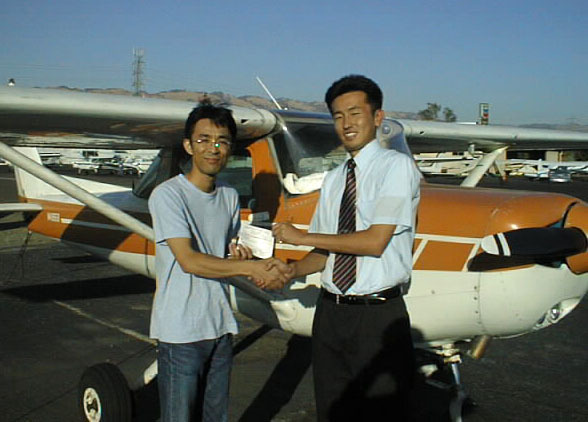 Finally, in May 2005, after a very impressive finishing spurt, Sone-san became the second student in Air Accord’s history to obtain an Instrument Rating through training on a completely intermittent basis. 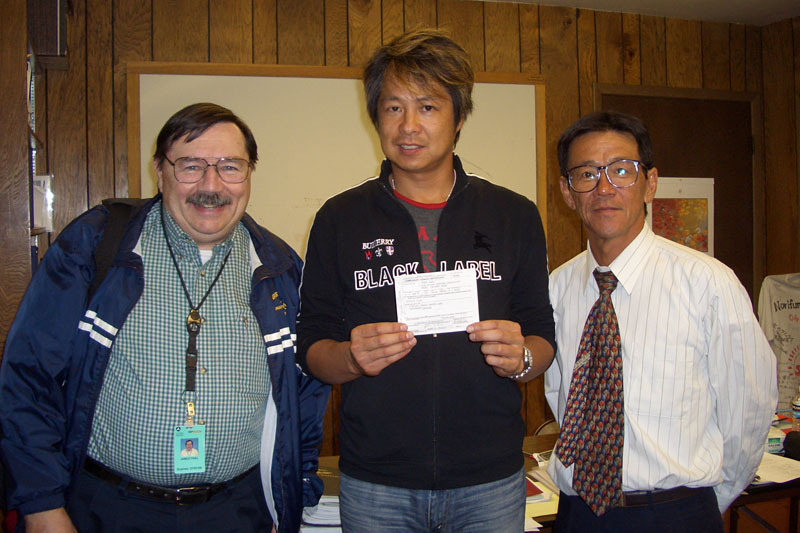 The entire school staff wholeheartedly congratulates Takashi for making a milestone achievement for himself and for Air Accord! He is currently continuing his training on the Sundowner towards his commercial certificate! Despite his busy lifestyle, he enrolled at Air Accord to realize his childhood dream for the skies, training all day long during weekends. 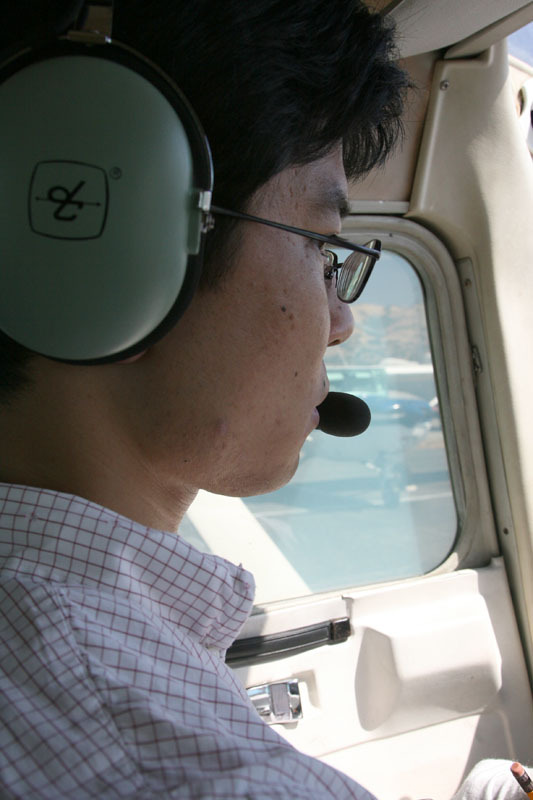 He typically prepares above and beyond what is assigned by his instructor for the next flight or ground lesson, showing his engineering background. 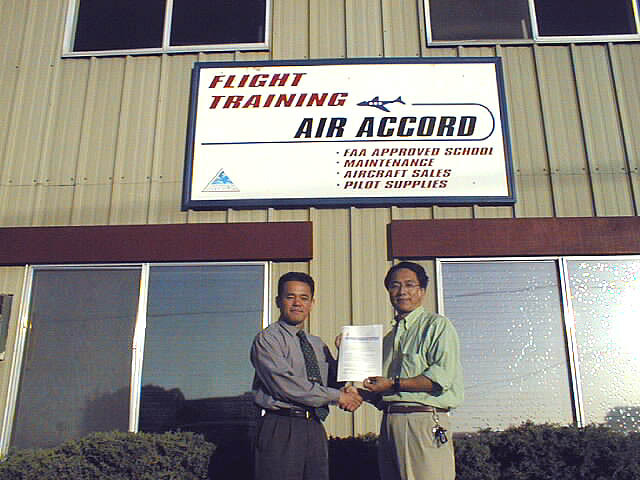 Katsu enrolled at Air Accord almost 9 years ago, in 1996. While working at a travel agency in Japan, a very demanding, time-critical job requiring quality customer service, he managed to come to the States once or twice a year to train, making small but steady progress at a time. His incredible efforts, however, finally paid off. Yes, yes, you made it! You are now the PIC! On a summer morning, the Bay Area could be covered with dense advection fog. During the winter, radiation fog in the Central California valley is a common textbook phenomenon. IFR flying, anyone? 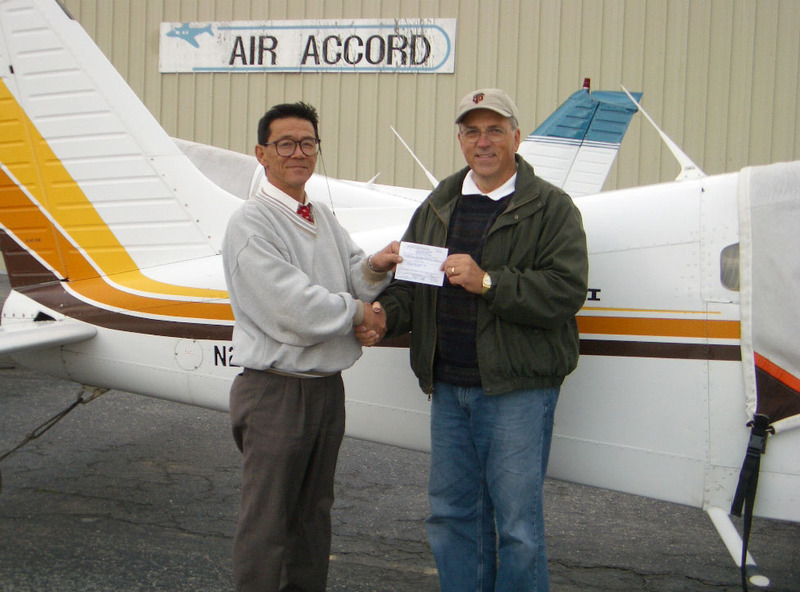 After obtaining his private pilot certificate at Air Accord on December 2000, followed by his wife Carolynn in December 2003, we are pleased to announce that Rich is now a proud holder of an Air Accord-trained instrument rating. Both aviators are genuinely enjoying cross-country flights on their gorgeous Piper Archer, flying right through layers of clouds on instruments alone with minimum weather-induced hassles or stress. Congratulations! 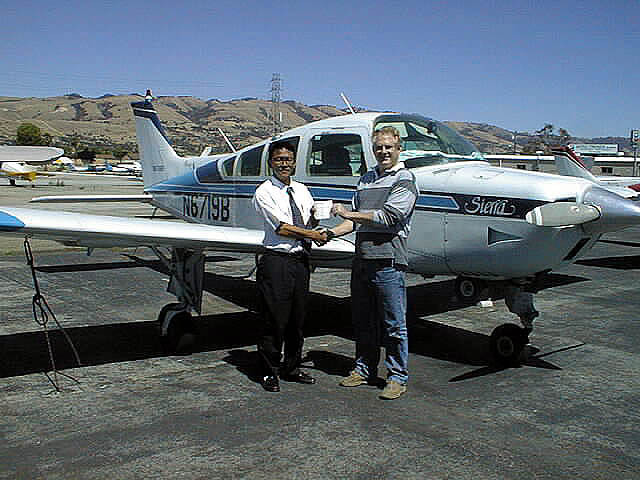 Almost four years after experiencing a demo flight with us, Steve finally started to train for his private pilot certificate while continuing to work as a night-shift security officer. 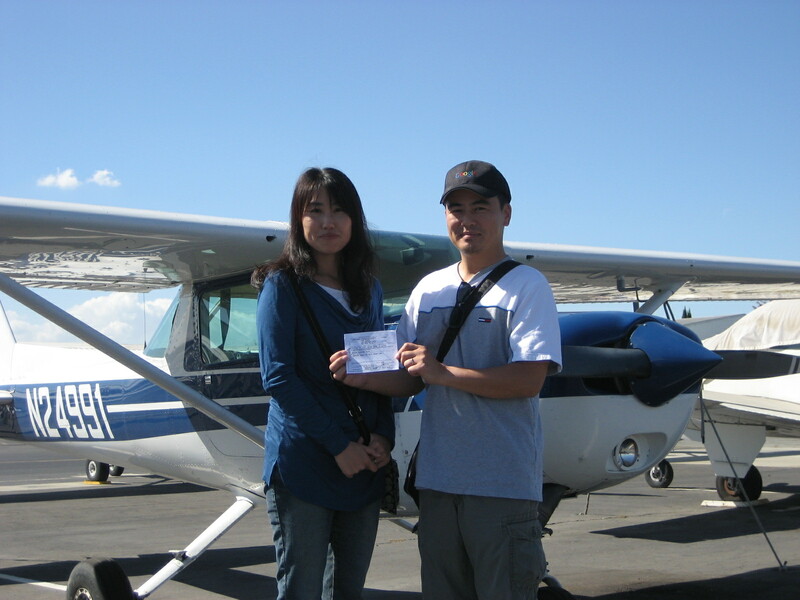 He did a great job earning his private pilot certificate, and has been eager to fly the Beech Sundowner since. He is now flying with his wife and friends to improve his airport entry and landing techniques, while waiting for mountain flying season. Tsuyoshi has worked as an engineer at a software company for many years. 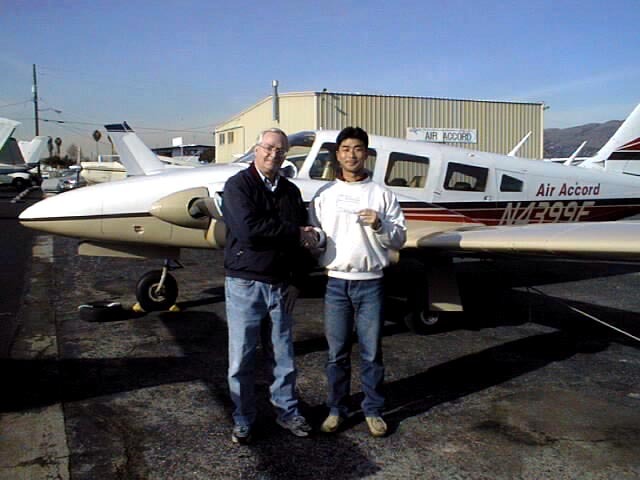 Since he started training with us, he almost worked as a full-time student to obtain his private pilot certificate (his young instructor wouldn’t let him get back to his job!). Tsuyoshi, you did a good job! We are very glad to say that he is enjoying his San Francisco and Monterey Bay flights with well-organized preflight preparations. Nori has a strong motivation to become an airline pilot. 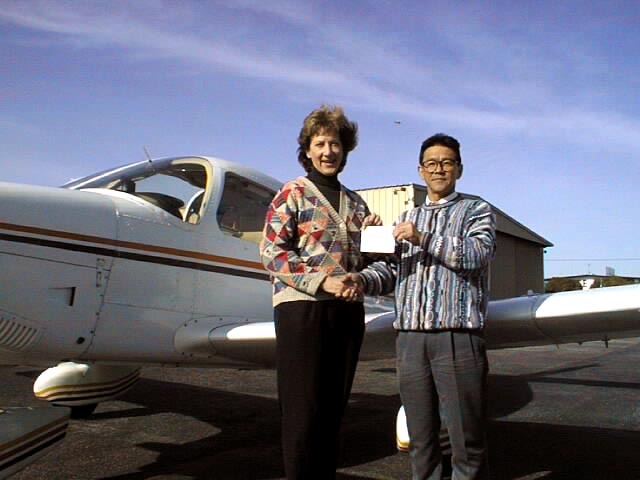 After obtaining his private pilot certificate, he continued moving ahead by earning his commercial pilot certificate with airplane single, multi-engine, and instrument ratings. 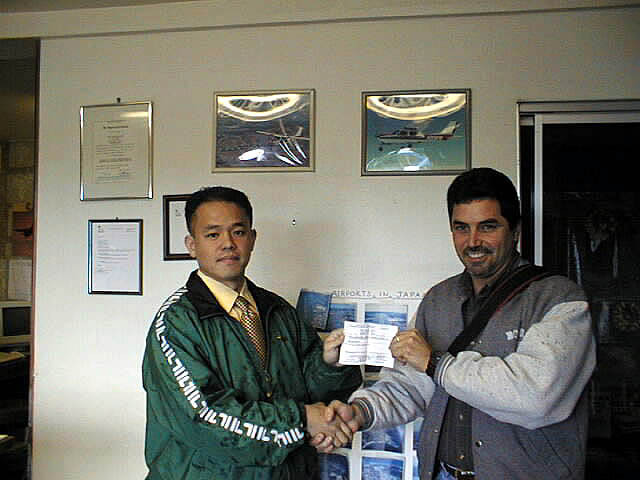 While he trained with us, he worked very hard, especially on aircraft systems. Combining his knowledge and eagerness, he even helped us with our routine aircraft maintenance. You made it, Nori! And we miss you a lot. Izumi used to work as a tour conductor traveling around the world. He found an airline recruitment ad and was surprised to read “new pilots welcome.” He then made the decision to change his career and become a pilot. He joined us in July of last year and has since made great progress by obtaining his Private Pilot Certificate followed by a multi-engine rating. We congratulate his accomplishments as he continues his training in Japan. Good luck! Yoshiyuki is a physicist working at Stanford University as a researcher. Since moving from Japan, he lives in a house near the laboratory and enjoys the beautiful California weather when he walks to work. His colleague is a Private Pilot who introduced him to flying. 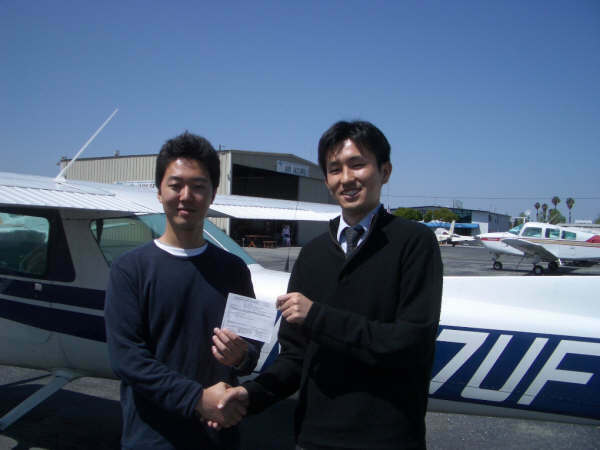 Yoshiyuki thought flying would be the best way to take advantage of the weather, and joined us in December of last year. 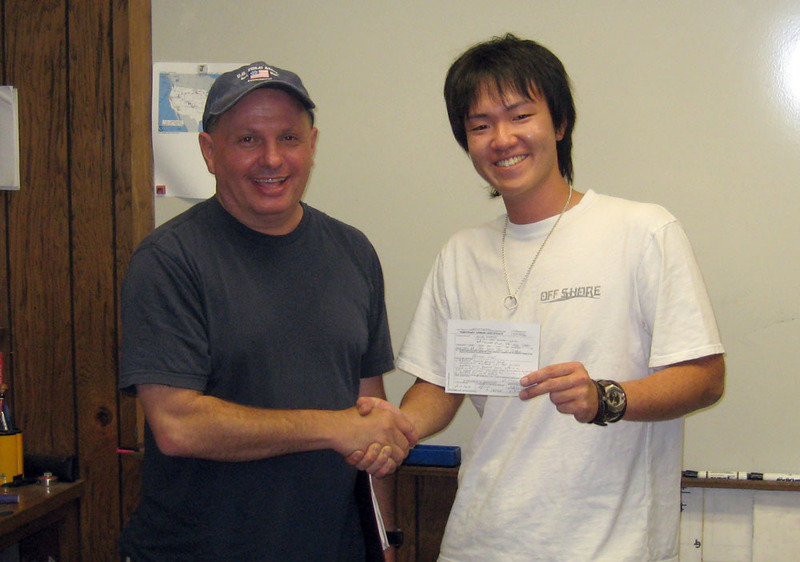 As soon as he started his training he told us, “I can’t enjoy the view because my instructor keeps me too busy.” Sorry about that, Yoshiyuki... but you can enjoy it now! Hide is the youngest CFI at Air Accord. He is very sharp when it comes to giving instruction. He joined us in November 2000 and has since obtained the Commercial Pilot, Certified Flight Instructor and Instrument Instructor Certificates. He has recently become a multi-engine pilot. 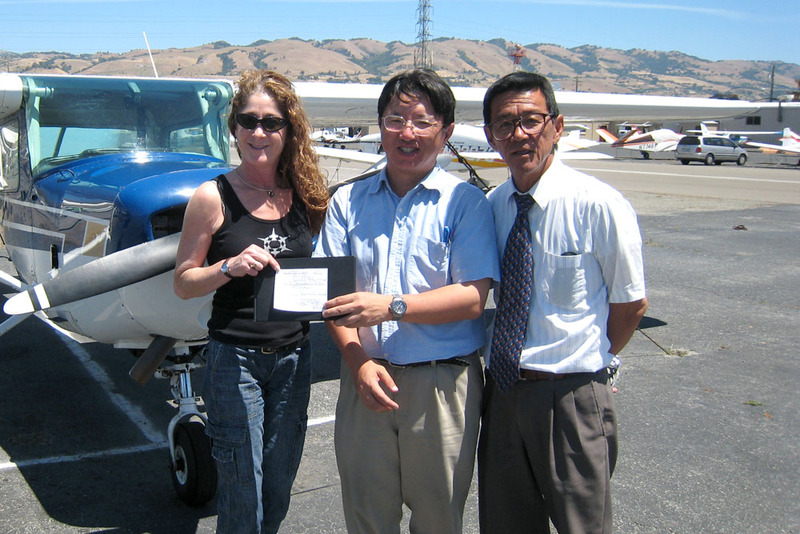 Carolynn’s husband, Rich, obtained his Private Pilot Certificate in December of 2000. Soon after, they bought a Piper Archer and traveled the state together. Rich insisted Carolynn become a ‘pinch hitter’ pilot. She agreed, and trained until she felt comfortable landing the airplane on her own. Even though she made her solo flight, her samurai instructor did not release her from her training. She decided the only way to satisfy the samurai was to become a Private Pilot. She made it! Congratulations! 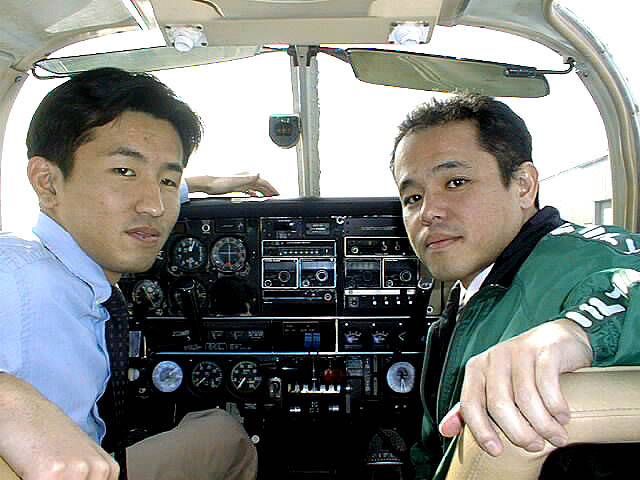 Teru worked in general aviation in Japan as a commercial pilot after graduating from an aviation college in 1997. In pursuit of his career goal as an airline pilot, he decided to acquire further training. 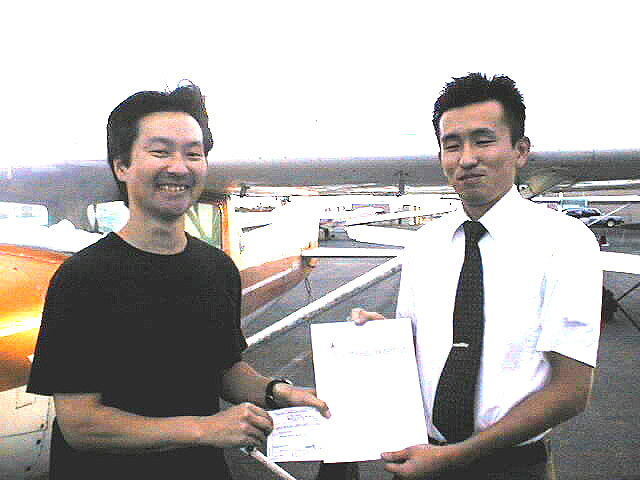 He obtained the Multi-Engine and Instrument Ratings at Air Accord as preparation for additional training in Japan. His initial plan was to study in the U.S. for only a few months. 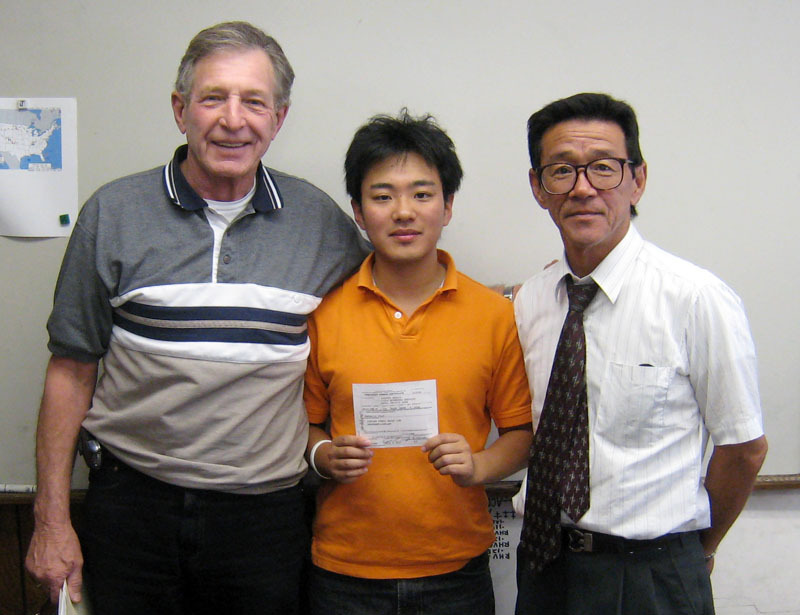 However, he stayed for almost a year - studying hard (and having fun!) with us before going home. We miss Teru a lot and believe his experience accumulated in the U.S will help him substantially in Japan. Update: Teru has been accepted at JAL Express, a Japan Air Lines subsidiary! His in-house training will begin in 2006, and is slated to become a First Officer on the MD-81 by 2007. Congratulations, Teru! See a detailed interview here (in Japanese). 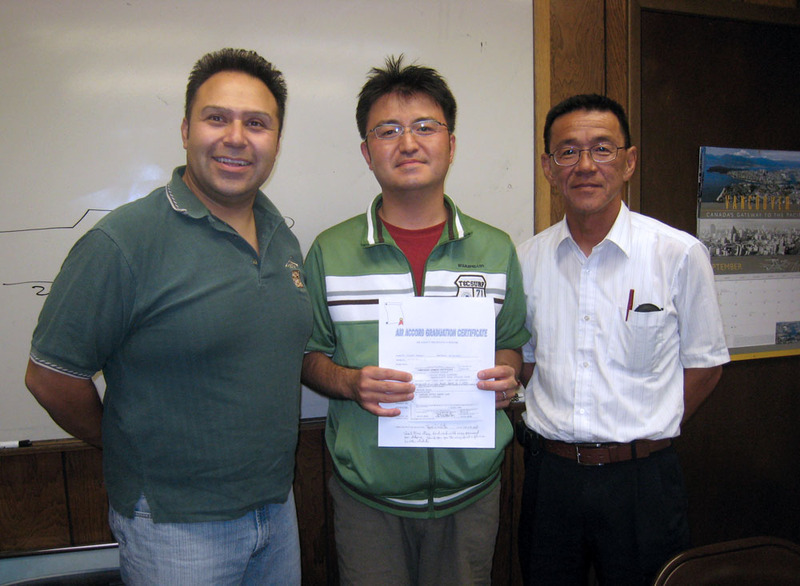 Hitoshi has worked for a Japanese company specializing in carbon materials used for large aircraft brake systems. He is used to dealing in large aircraft, but he currently has little experience with small airplanes. 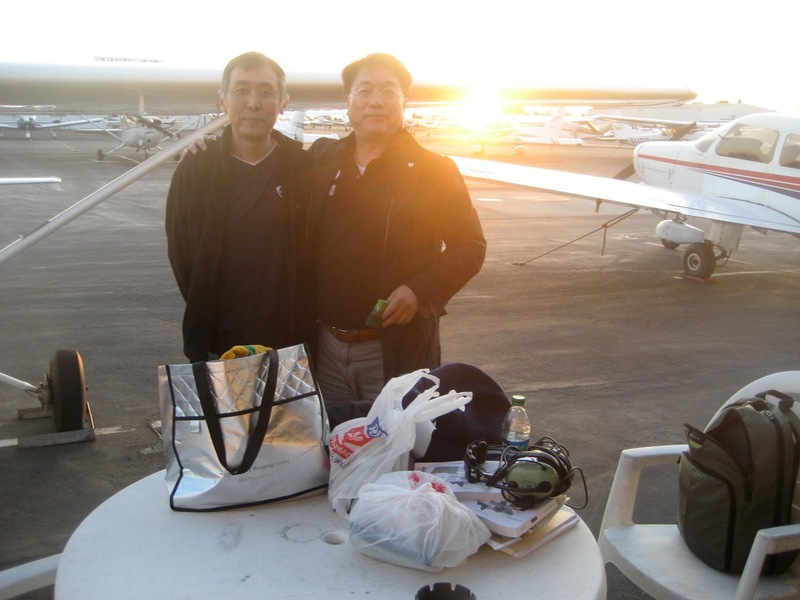 Hitoshi’s interest in flight training was influenced by Dr. Tonoki when he was a student pilot. 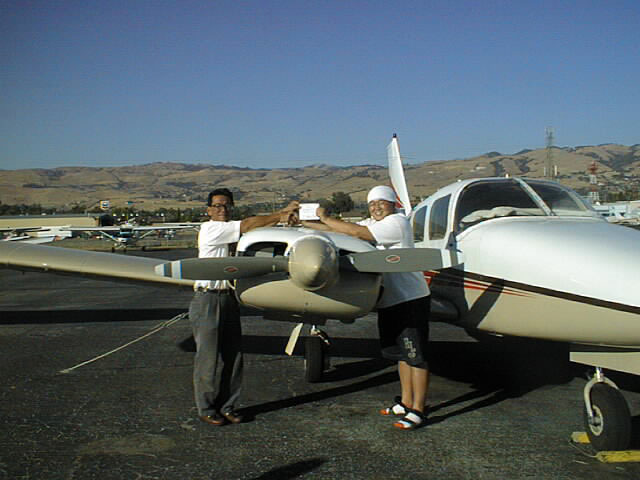 First Solo Flight: August 31, 2002. 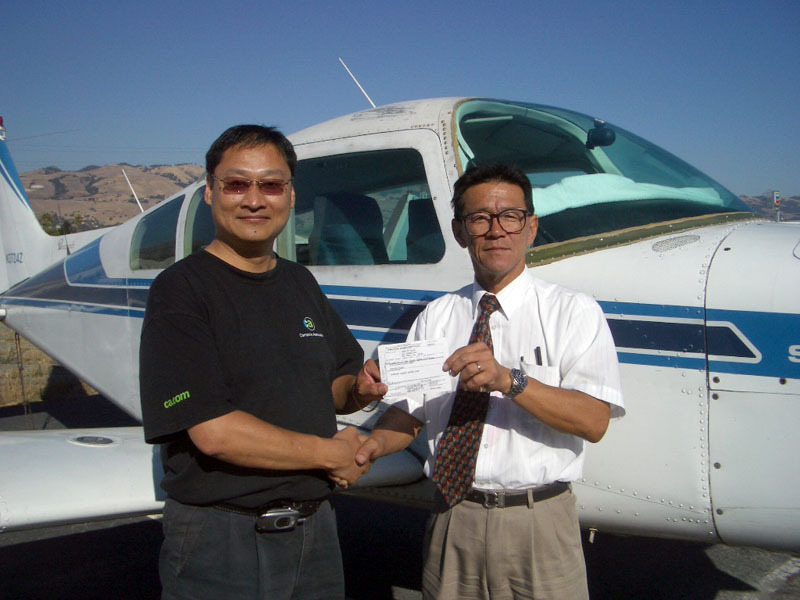 Koichiro has successfully completed the Airplane Multi-Engine Land rating based on his JCAB Pilot Certificate. 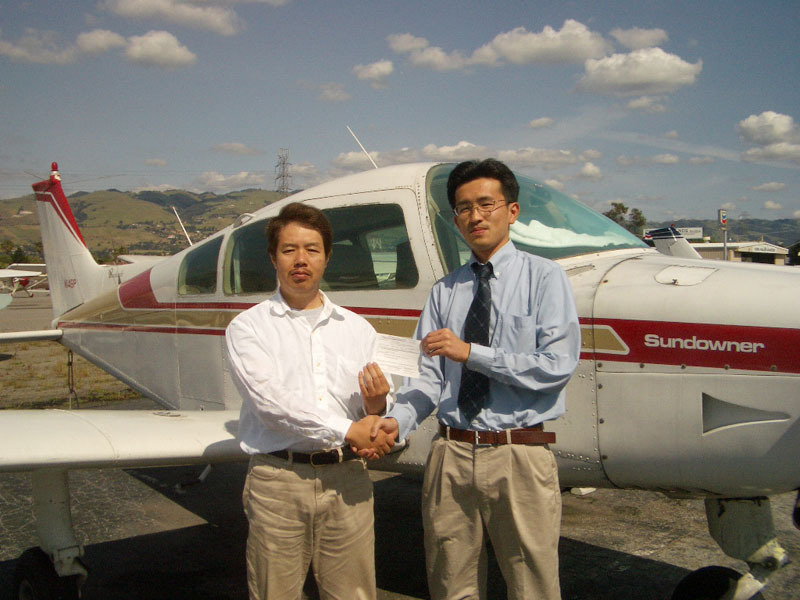 He first contacted us two years ago about obtaining his Private Pilot Certificate. He called us again this Spring asking about completing the Multi-Engine Rating. 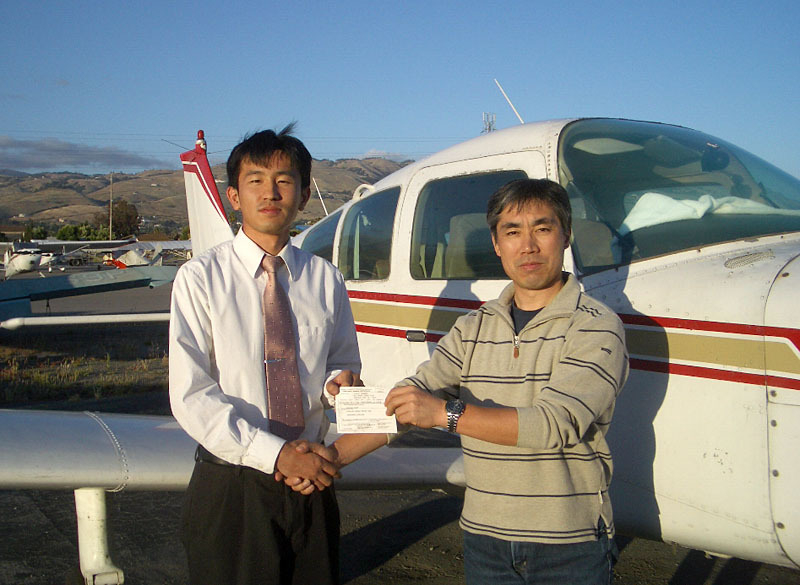 As soon as Koichiro arrived, he did an excellent job transferring his aeronautical skills obtained in Japan. We are sure he will do the same when he goes home to Japan. 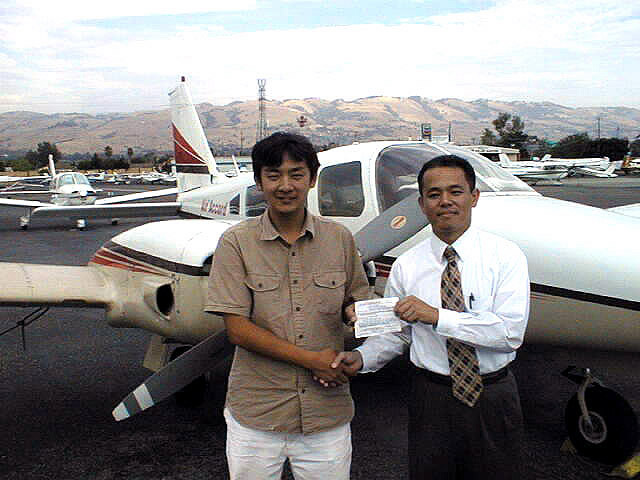 Nori is taking the Commercial Pilot Course in preparation for his goal of becoming a professional pilot. He is studying hard, but is enjoying the intense training. 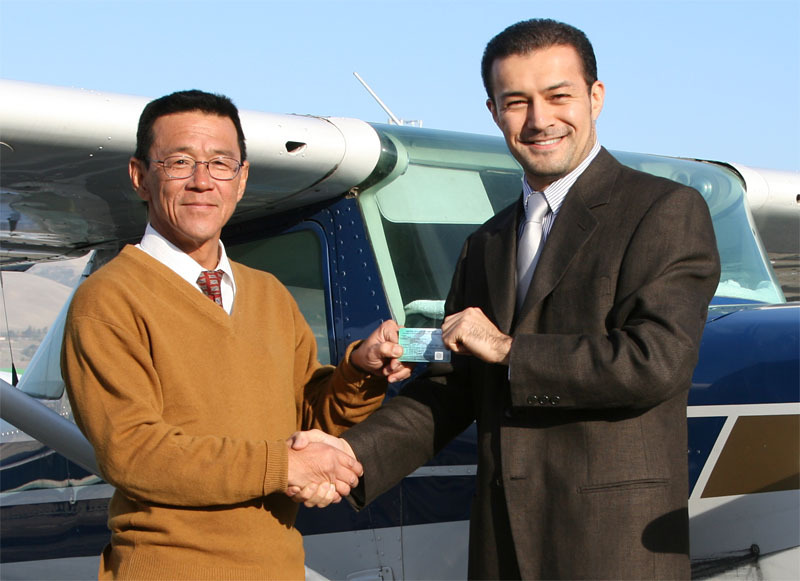 He has completed the first step of the course by obtaining his Private Pilot Certificate. Congratulations, Nori! 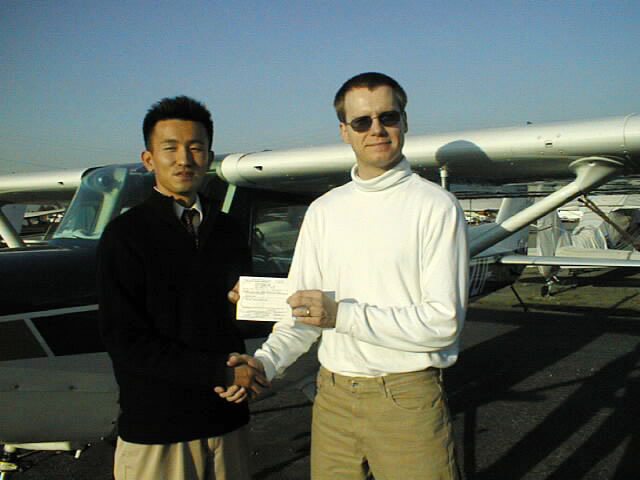 First Solo Flight: April 29, 2003. John has worked at a precision medical equipment company as an engineer. He always wanted to build a kit airplane. Take us flying on the JH airplane when it is completed! 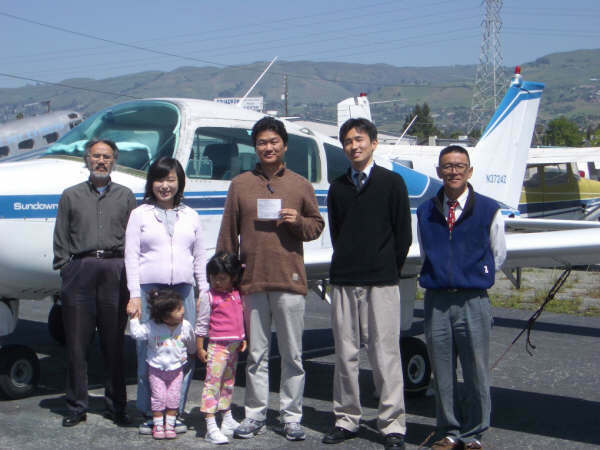 Yukiko came to San Jose with her husband and their first son Yosuke five years ago. Soon after they had second son Yusuke, who is now 4 years old. Yukiko was a busy mother taking care of two boys while taking flight training. She has had a desire to become a pilot since childhood. She did it! We call her the #1 Mama-san Pilot! Congratulations!! Aparna has worked at a computer software company as an engineer. She always wanted to fly airplanes since she moved to California from India. 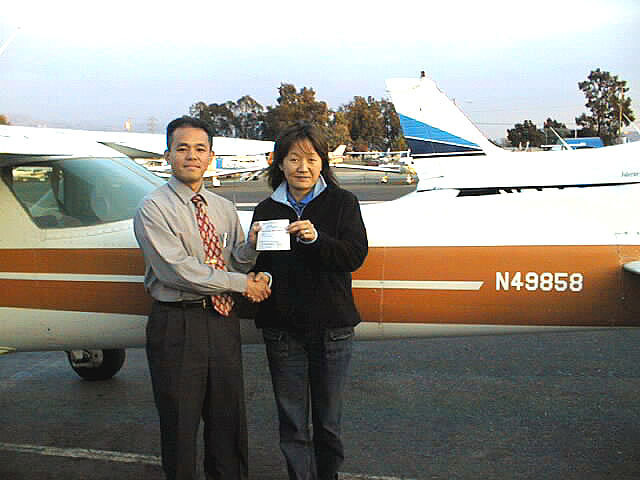 She completed her Private Pilot training the day before she had to leave for Japan on a business trip. I hope she had a wonderful time in our staff’s home country! Yuko is studying business at Santa Clara University. 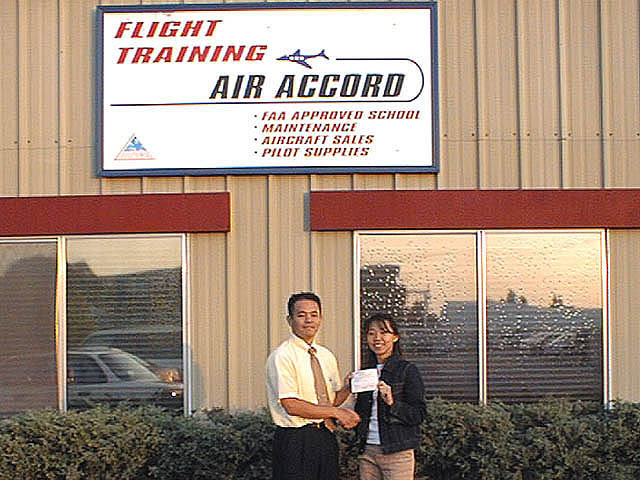 She joined Air Accord in April 2000 when she was a college student studying English. She is studying for her Master’s Degree in Business while mastering her pilot skills. Takato has worked for an airline company as a mechanic in Hokkaido, Japan and is working towards becoming an airline pilot as well. He obtained his Private Pilot Certificate in 1997, but recently returned to Air Accord during his vacation to add the multi-engine rating. He made it! Good job! Mark has worked at high-technology company as an engineer and is also a teacher. His interests include sailing, hiking, and flying. Morio has worked at Tokyo Dental College in Japan as an Assistant professor doing Oral and Maxilla-Facial Surgery. He came to Stanford University Medical Center last year on an exchange program to do research. Soon after, he started taking flight training as well. He managed an extremely difficult schedule to make it through doing a remarkable job. He sometimes felt his days were 48 hours! Cris is studying aviation to become an airline pilot while currently working at a freight delivery company. 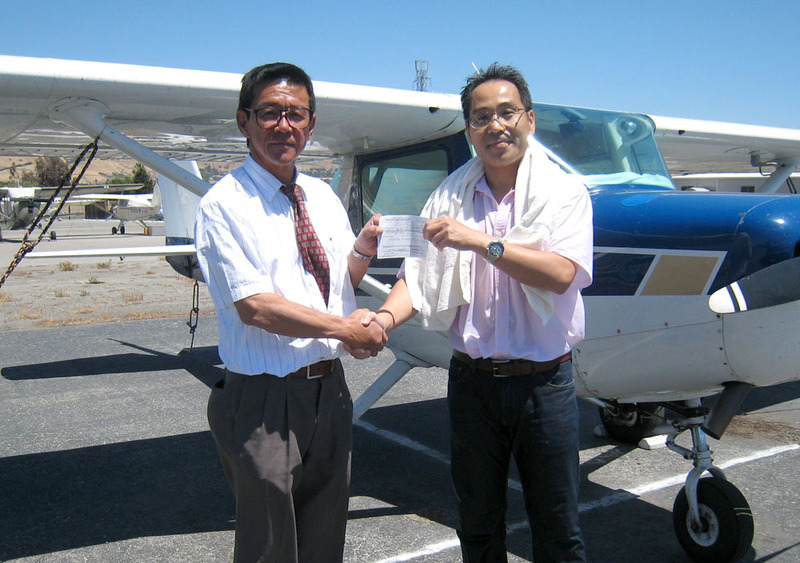 His took his first step by obtaining his Private Pilot Certificate. Congratulations!! 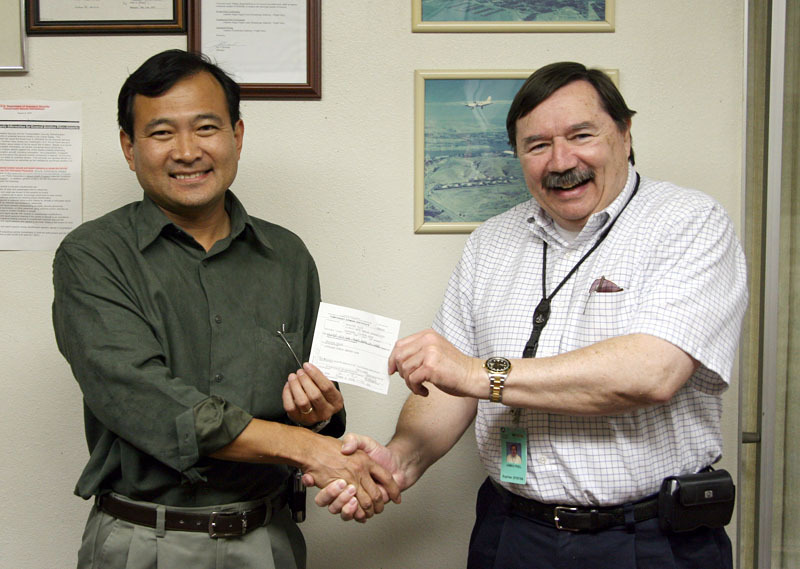 Loren was an engineer, inventor, and physicist holding a commercial certificate with a multi-engine rating, who was seeking his CFI Certificate. 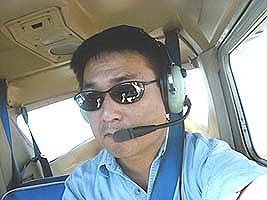 He joined Air Accord’s flying club in 1998, frequently renting our Seneca for his research and flight data acquisition on gyroscopic principles. During training, his lesson plans were always very well-prepared in a scientist-like manner. 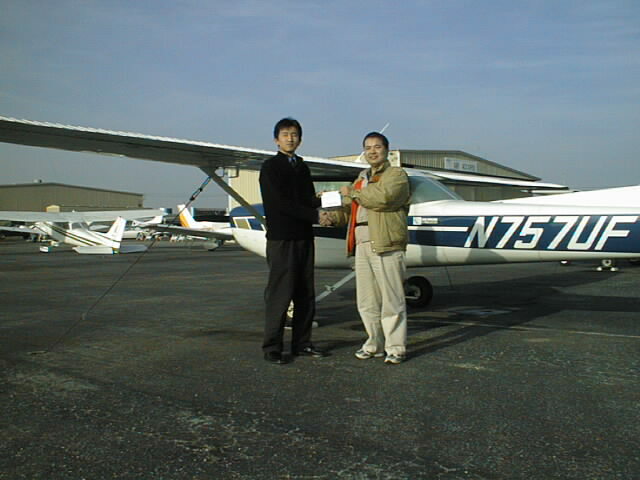 Soon after he obtained the CFI Certificate, he was hired by the Good Year Company and moved to Minnesota. We miss him very much. Julio has worked at a high-technology company as an engineer. However, he has always wanted to become a commercial pilot since childhood. 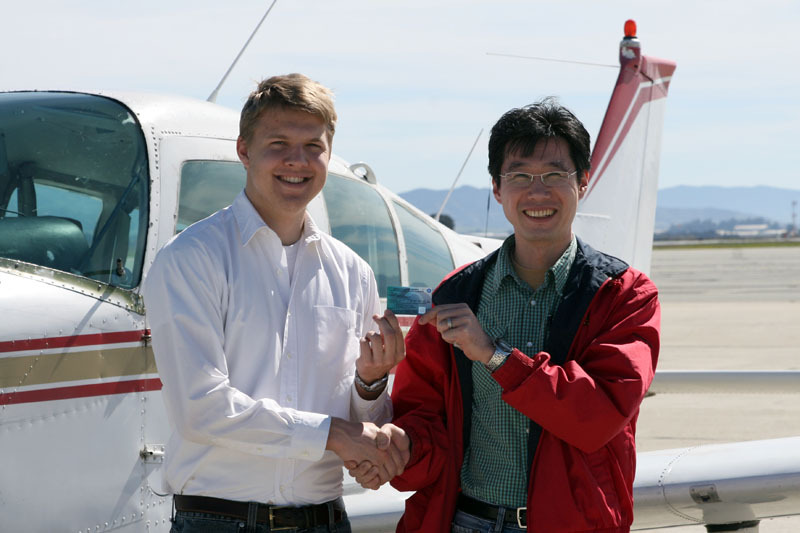 His accomplished the first step towards his dream and obtained his Private Pilot Certificate. 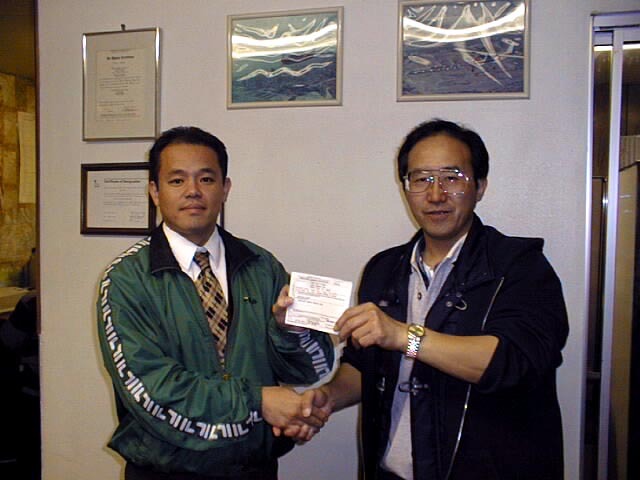 He has worked for a Japanese component manufacturer in California office since April 1999.